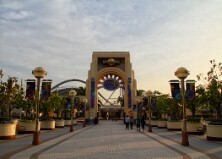 It’s one of four Universal Studio Theme parks, and it’s located in Konohana-ku, Osaka city. 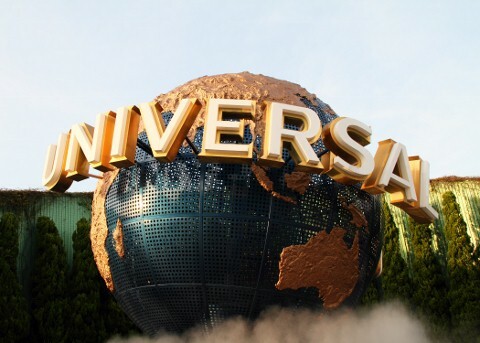 The Theme park is owned and operated by Universal Studios, it’s the third one after Universal Studio Hollywood and Universal Orlando Resort. It was also the company’s first foray to outside of United States. The Park is divided into 9 areas and each of them recreates streets around the U.S or the landscape where a featured movie had taken place. There are 21 attractions in the park. Some examples are, UNIVERSAL MONSTERS LIVE ROCK AND ROLL SHOW, BACK TO THE FUTURE-THE RIDE, THE AMAZING ADVENTURE SPIDERMAN-THE RIDE, WATER WORLD and so on. A new attraction, Space Fantasy The ride, opened on 3/19, 2010. It recreates the magnificent outer space laying out earth and stars, using the latest movie set and screen technology in a studio 72meter long, 89meter wide, and 19meter high, and a rocket which “flies” over a 585-meter-long flying course with a vehicle which has four-seat and two dual vehicle called the Solar shuttle. It’s an indoor riding attraction. Studio pass is Free pass includes admission to all attractions. On the first day admission and use of attractions are possible after 15:00. Twilight Pass (It’s possible to use for admission and all attractions after 15:00) it is sold at only limited times. 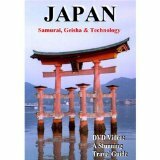 It’s possible to use for admission and all attractions except exempted dates which are fixed by UFJ. It can be used for admission and to access all attractions.